Designers are charged with researching the psychology behind user decisions. There’s a little blue “unsubscribe” button in the upper right-hand corner of a website. Everything from the color, the size and the location evokes a certain response from the user. But say the link was red and at the bottom of the page. Those alterations could entirely change the way the user interacts with the site and how it makes them feel. Designing for web is a delicate science. Susan Weinschenk understands it better than most. In the early 1980s, she decided to take a web-programming course while earning her doctorate in behavioral psychology at Pennsylvania State University. Weinschenk became one of few programmers concerned with what was called “man-machine interaction.” Other programmers were more interested in how the machines thought and didn’t worry about the regular people. But Weinschenk saw an opportunity and made a career of it — combining her knowledge of human behavior and programming to pick up consulting work for software development and design firms. The key is simplicity. Well, simplicity and balancing the relationship between a business and the users. The typical user wants to get in and out with the information she was searching for as quickly as possible. But the folks on the business side want her to stick around for as long as possible. A designer establishes a balance between the two by ensuring easy navigation throughout the site. The user accesses information she was searching for quickly, but is encouraged to look around more — because it’s easy. Everybody wins. Norman focuses a lot on visual balance in his designs. After 15 years of experience, he knows how to ensure users won’t be overwhelmed. Text, images, colors, textures and patterns all have to be in perfect harmony. He’ll test the website to make sure the balance is satisfactory with the company and the people that will most likely use the site. He asks them questions to gauge its usability: Is this confusing? Do you like it? Does this make you feel frustrated? Weinschenk shares a similar approach. 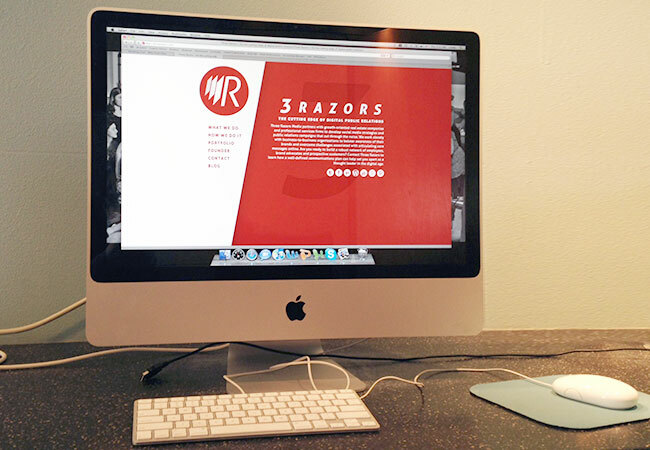 Designers create sites with a target audience in mind. It’s important to understand the user and remember the needs of the organization so the product will elicit a specific response. No matter what the original purpose of each visit might be, designers have to get users to click. Craigslist is an example of poor user-experience design. There is little to no regard for why the user is on the page or how to get the user to their information as seamlessly as possible. On the flip side, Amazon boasts a well-executed user experience, as visitors to the website are able to reach the content they are looking for with ease. Scott Kubie, a content strategist for computing software company Wolfram Research, said a lot of his user-design work is a trial and error process of correcting specific problems. Say a company notices too many people are closing their accounts or unsubscribing to company newsletters. The company’s solution may be to make the button smaller and make it harder to find, but they don’t think about the consequences of that particular solution. If the consumers know it’s going to be hard to unsubscribe in the future, they might not sign up in the first place. It’s a hypothetical situation grappled with by many designers. Reiterating Norman’s need for balance, Kubie emphasized how a problem has to be solved for the company while ensuring users remain undistracted and in control. “What we’re really talking about is the design of the experience, not just the product or the coding of the web page or even the visual design,” Weinschenk said. How people interact with design goes beyond the vast world of the Internet. It’s invading their daily lives, even after they disconnect and unplug. Designing a space requires a thought process rivaling that of user-experience designers. Building a store from the ground up or designing its interior depends on more than just intuition, said Amy Huber, a professor of interior design at Florida State University. “We’ll have students study different places and see how lighting and physical barriers affect how people interact with the space,” Huber said. From the type of tile used on the floor to the brightness of the lighting — everything has an impact on the in-store experience. Even the most mundane detail could throw off the flow of a building. At the end of the day, the designer needs to create a compromise between the needs of the client and the feelings of the users. It goes back to the psychology of an experience — users don’t want to have a difficult time when they visit a site or a store. They desire ease and memorable experiences.